Adrenalin Addo is situated in the heart of the Sundays River Valley, about 50 minutes from Port Elizabeth and just 20 minutes from Addo Elephant National Park. Take the N2 towards Grahamstown and then take the R335 to (same directions for Addo Elephant National park). Continue for about 40 km until you reach the village of Addo. Just beyond Addo village, turn left onto the R336, heading towards Kirkwood. 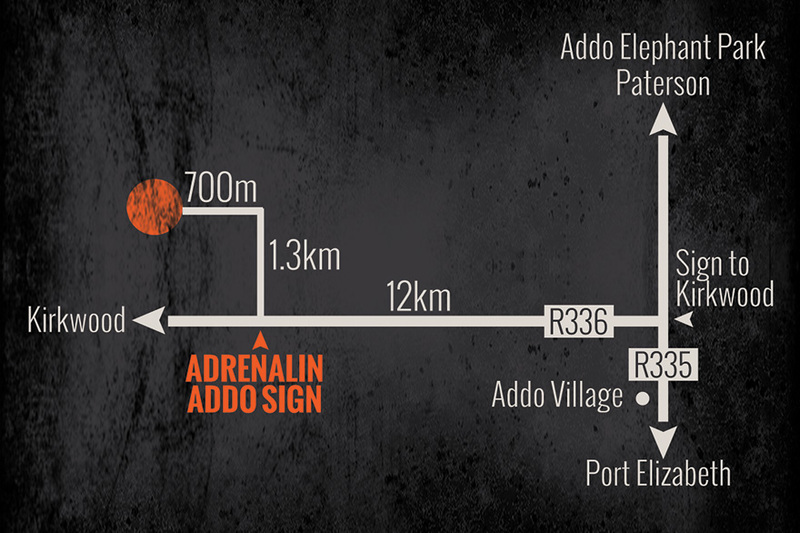 After 12 km, look out for the Adrenalin Addo sign board and then follow the signs.